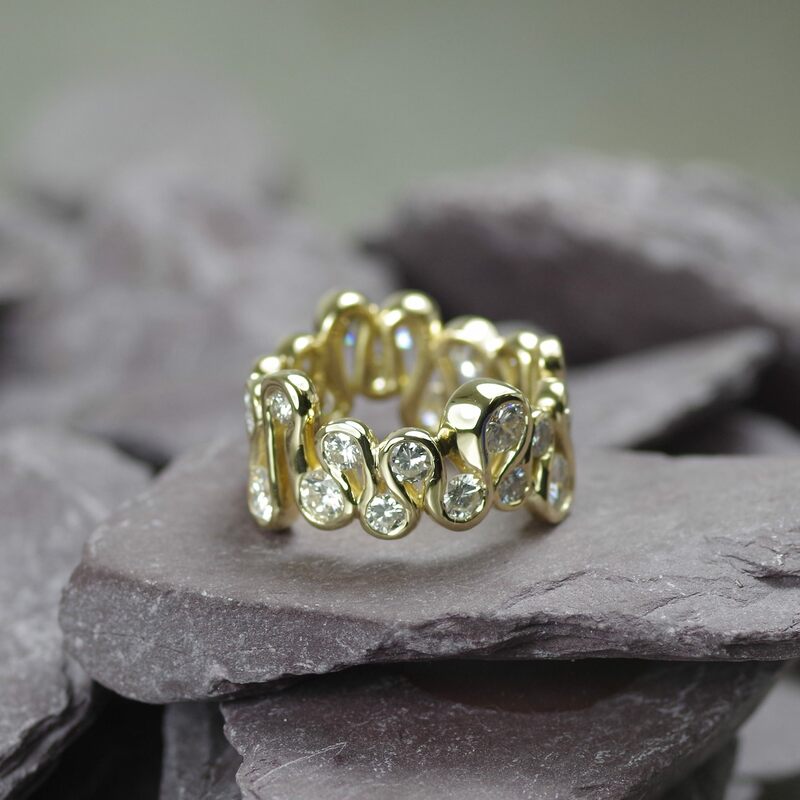 An eternity ring can be the perfect gift to mark a special anniversary, birthday, or perhaps to celebrate the birth of a child. 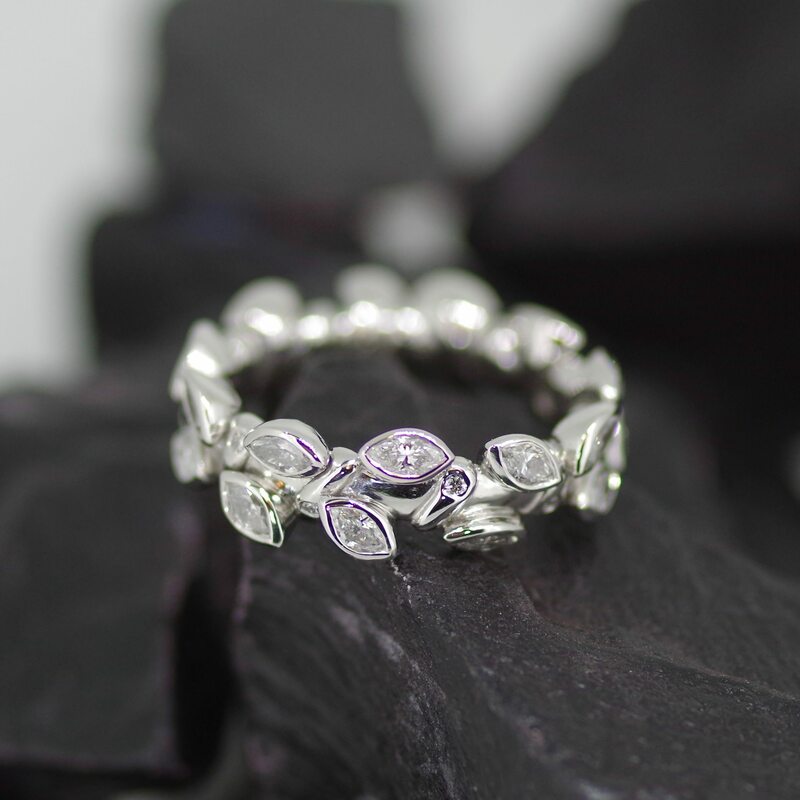 Whatever your reason, an eternity ring is a very special piece of jewellery you will treasure for the rest of your life. 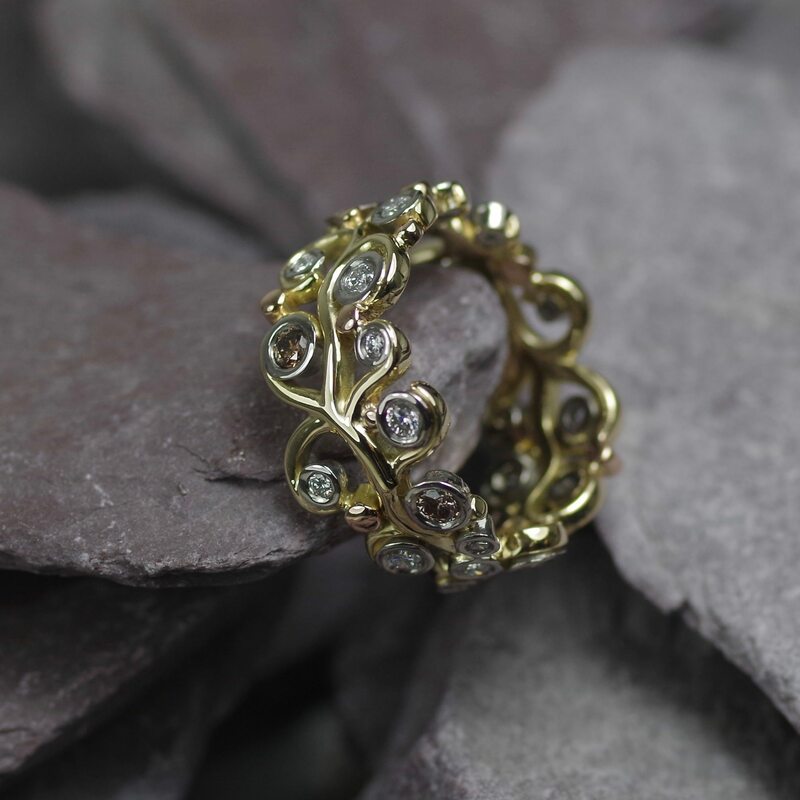 Here at Dot the Jewellers we take pride in creating hand-made eternity rings that are truly unique to each and every customer. 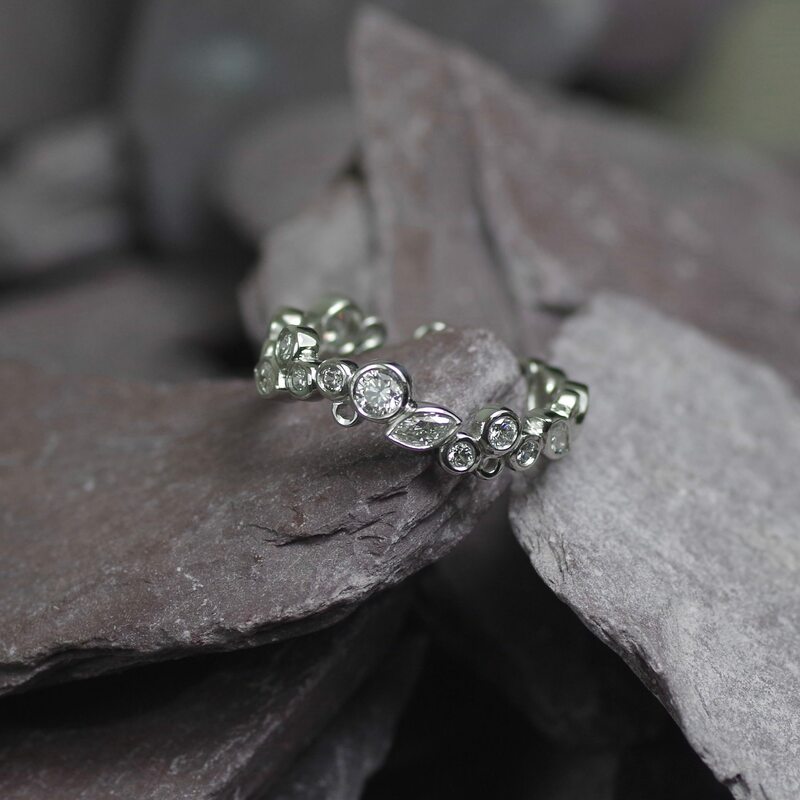 Choosing us to design and create your custom-made eternity ring means you are in safe hands. Each and every unique eternity ring we create is tailor made to fit your exact hand shape, down to the last millimetre, in line with your personal style and preferences. 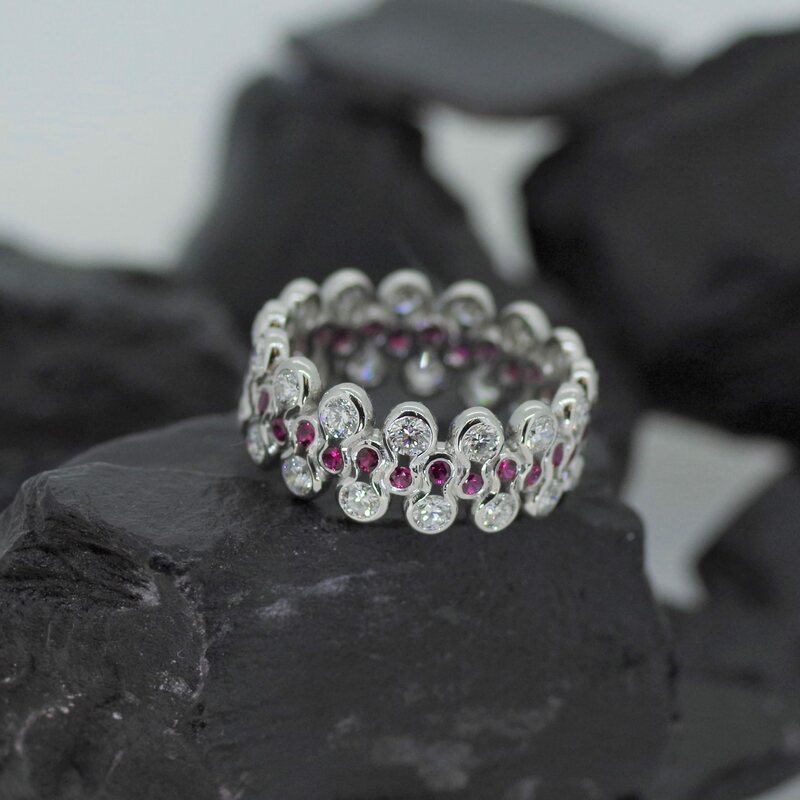 It’s important to take time and care selecting the gemstones you would like to be included in your bespoke eternity ring, especially where you would like coloured gems. Many of our hand-crafted designs are created with diamonds, sapphires and rubies but we are happy to discuss any precious stone you would like to be included. 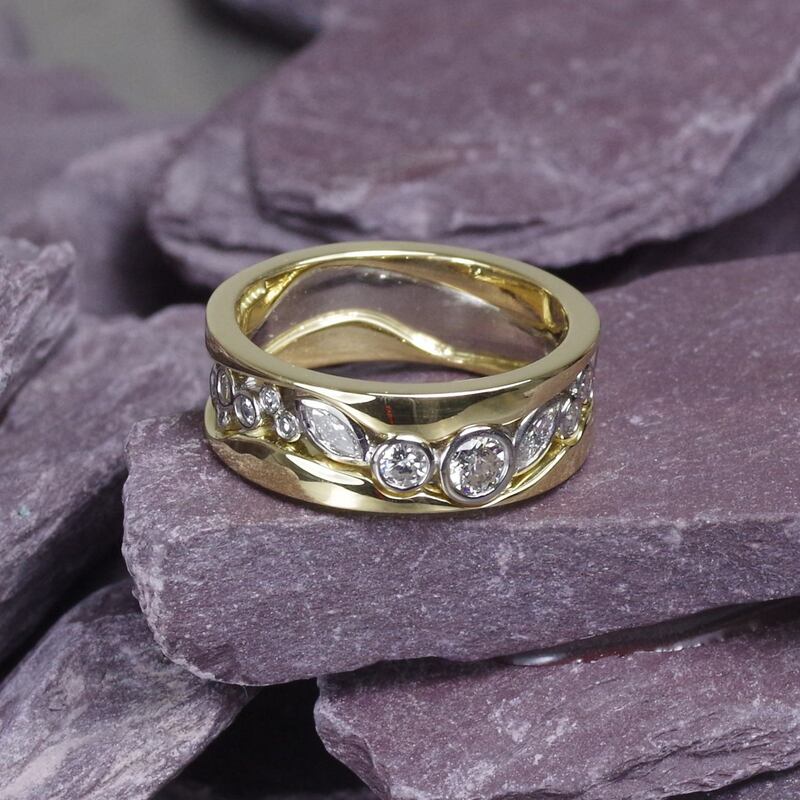 The beauty of a bespoke eternity ring, which can be created in Gold, Palladium or Platinum, is that they can be designed to fit with your existing wedding rings for every day wear, or as a dress ring to wear on special occasions. 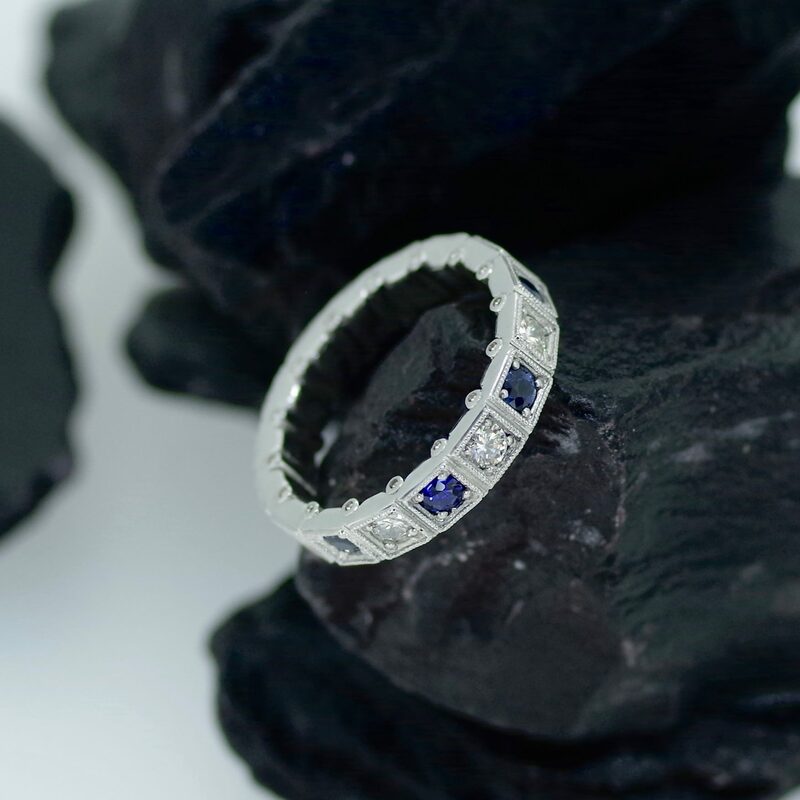 We can also personalise your eternity ring with embossing – why not include a personal keepsake message from your partner or the date of your wedding anniversary? 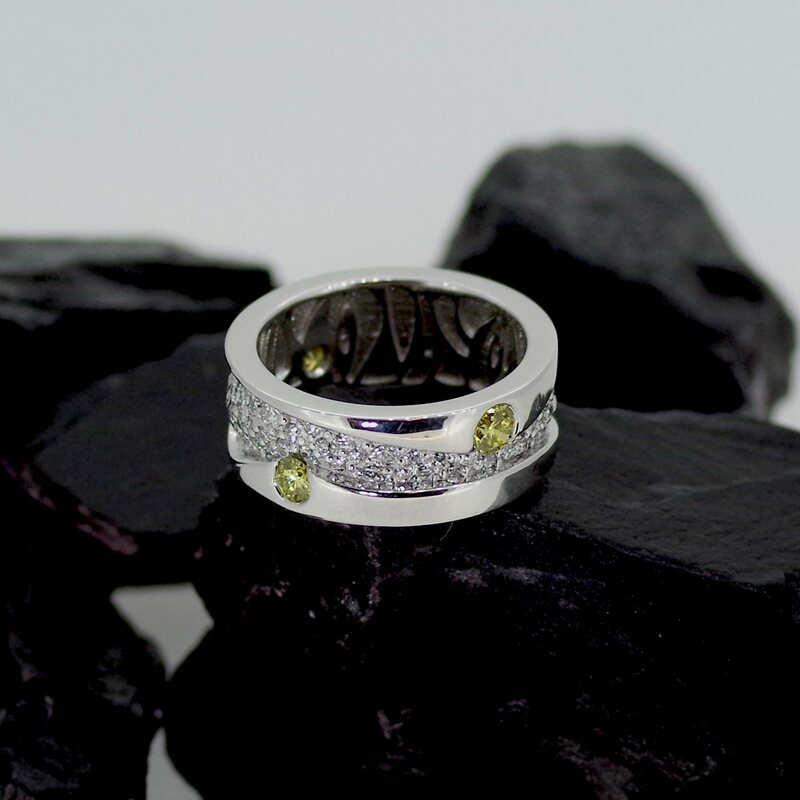 Take a look at some of the bespoke eternity rings we have created in the gallery above.